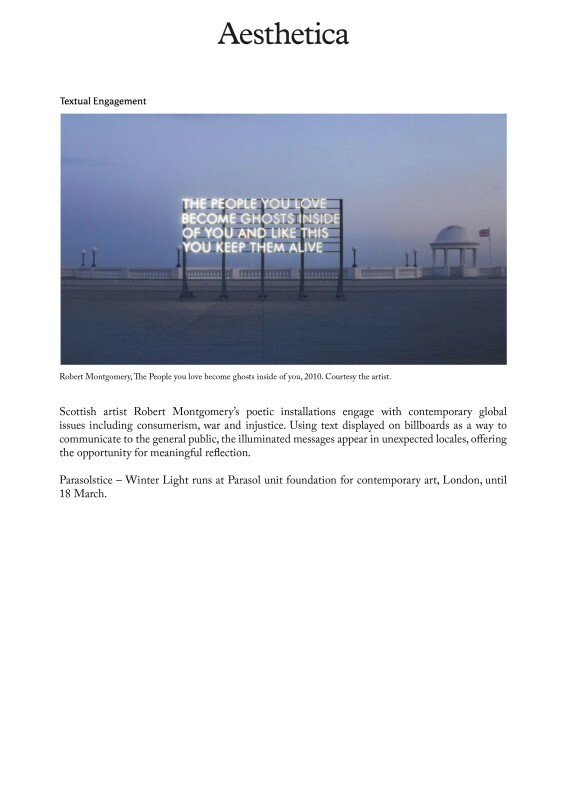 Scottish artist Robert Montgomery’s poetic installations engage with contemporary global issues including consumerism, war and injustice. Using text displayed on billboards as a way to communicate to the general public, the illuminated messages appear in unexpected locales, offering the opportunity for meaningful reflection. Parasolstice – Winter Light runs at Parasol unit foundation for contemporary art, London, until 18 March.